Zagreb Bus Station is situated in the vicinity of the city's central square, alongside the busiest city traffic routes and features a large parking lot. It was established in 1961 and was given its current appearance in 1987, when the new bus station building and its platforms were built. It is the biggest and most up-to-date bus station in this part of Europe, enabling fast and safe transport to all its passengers. From 44 platforms, buses connect Zagreb with other parts of Croatia, as well as with most other major cities in Europe. 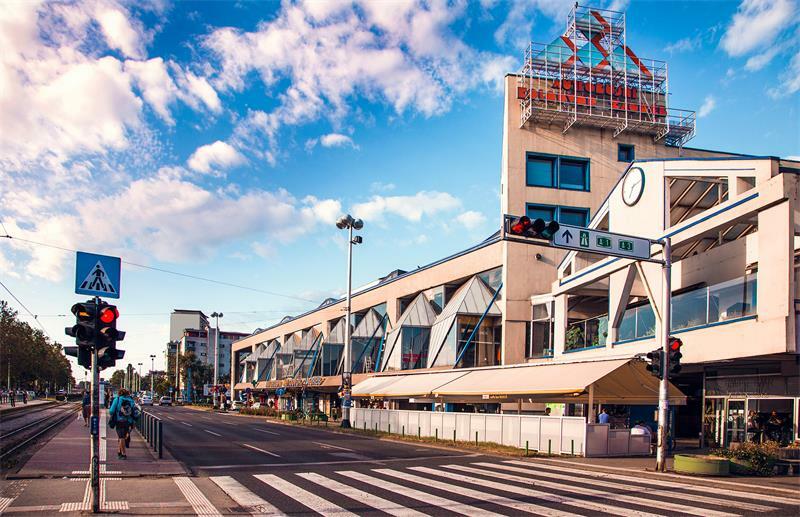 The core activities of Zagreb Bus Station are passenger transport, reception of buses, luggage and goods, ticket sale, seat booking, information services, storage services and car parking services. Tickets can be quickly purchased at 15 selling points within the building itself as well as on the Internet. They can also be ordered by phone and delivered to your doorstep. All premises where core and accompanying operations take place have been renovated and modernly furnished. Lots of places to rest and have something to drink or eat, shop and have fun are available to passengers and other customers. In order to enable unhindered access to all our customers, the Zagreb Bus Station building has been fully adapted for persons with reduced mobility. We also work with the Association of Blind and Visually Impaired Persons and we actively participate in all types of assistance to blind and visually impaired passengers. Zagreb Bus Station staff wishes you a pleasant and safe journey!